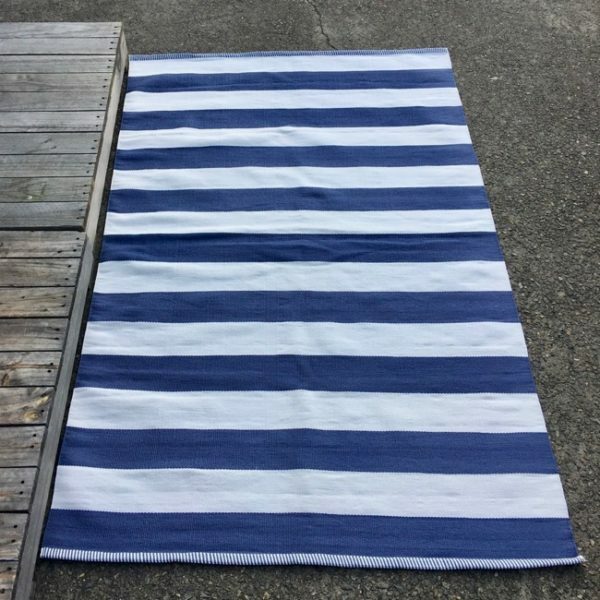 Waterproof and sun resistant stripe OUTDOOR designer mats you can leave outside without worry! Time saving and effortless decor that looks fabulous in entertaining areas outside and indoors. New yarns and weaves from durable poly prop. The fibres are soft, washable and practical.